My experience with Spray On Systems was very professional. My home was left clean and finished on schedule. 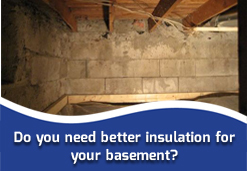 With escalating energy costs, you can reduce your energy bills by properly insulating your home and commercial space. Since 1967, Spray On Systems has been providing Winnipeg spray foam insulation services to residential, commercial and industrial customers. We pride ourselves on the quality of our work that we provide to all our customers. We use only the highest quality spray foam insulation products and are always looking to improve our spray techniques as well as the equipment that we use to achieve the best results and R-value. Spray On Systems was founded as one of the first Winnipeg spray foam insulation companies in the city and continues to provide top-tier spray foam services and products to our customers today. 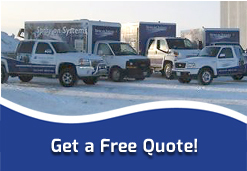 With over 45 years in the industry and gaining experience in the Winnipeg spray foam insulation industry, we have grown into one of the most trusted Winnipeg spray insulation companies in the city. Call ur or contact us for your free quotation of your insulation projects. 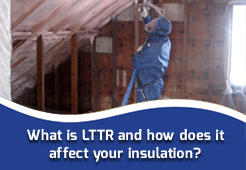 Recently, there has been a great deal of discussion and debate between foam companies concerning LTTR. What the customer must ask and understand is really a two-part question. The first part is "What is LTTR?" And secondly, how does this term factor into the actual quality of the foam and quantity required?